Cameras for Security or surveillance? These are two completely different applications. Surveillance cameras will only record what's happening as it happens, whereas security cameras can send you mobile alerts on movement or when an event occurs, like a break-in. Interior cameras or exterior cameras? This depends a lot on the property you want to protect. If you have plenty of outdoor space including concealed entrances (examples would be, a back door that’s not visible from the street), you might want to monitor them, but if you live in an apartment block with a shared entrance, indoor cameras might be all you need to protect your own property. Static or Moveable (PTZ) cameras? Static cameras are fixed to monitor a specific spot, while PTZ (pan, tilt, zoom) cameras can moved around and focused on different areas. 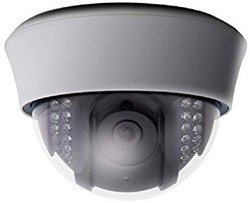 However, it does depend on the areas you need to monitor but remeber, PTZ cameras are often a lot more expensive to buy. You’ve probably seen many different types of cameras when you’re out and about. Obvious cameras are clearly visible and provide a visible deterent as well as a record function, whereas discrete cameras are often hidden away or less visible (like the kind you might see in a shop or hotel lobby). Installing wired cameras obviously involves a bit more work and materials, but are far more reliable because they don't rely on wifi to relay images which can be quite bandwidth heavy. 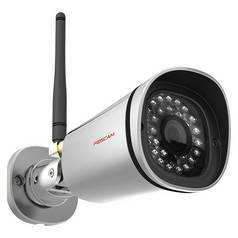 Wireless cameras can be installed almost anywhere, but may experience signal interruptions. They do however, need a local power source. Which type, IP or analogue cameras? This is how you would access the camera's footage. 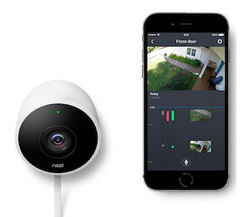 IP cameras transmit the footage over your home network (LAN) which enables you to access the footage on all manner of mobile or digital devices devices, whether you’re at home or not. So this option could suit you if you work late at night or are often away from home. However, they are more expensive than their analogue counterparts. Analogue systems will record to a local digital video recorder (DVR), so you’ll need to go to the DVR if you want to view the footage. This would probably suit you more if you keep to regular working patterns.